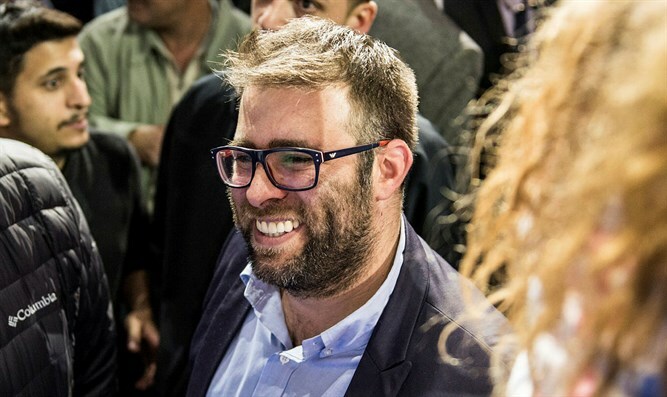 Controversial Likud MK Oren Hazan convinced he can defeat Tel Aviv Mayor Ron Huldai at October election. MK Oren Hazan (Likud) is convinced that he is capable of defeating Tel Aviv Mayor Ron Huldai in the municipal elections this coming October. Hazan, who has not even officially announced his candidacy, was responding on Monday to a poll published on Hadashot TV which found that Huldai leads by a considerable margin (45%) over the rest of the candidates, including Zionist Union MK Stav Shaffir, Asaf Zamir, Natan Elnatan and comedian Assaf Harel. "In a poll conducted by the Likud, I received 18%, more than the other candidates together, and all this before I even announced that I am running," Hazan said. "Tens of thousands of residents in Tel Aviv are waiting for me to run, and as it looks right now, it will go to a second round between Huldai and me, and in the second round I will win," he added. Hazan is one of the more outspoken and controversial Knesset members. During U.S. President Donald Trump’s trip to Israel, Hazan cut through the reception line of ministers greeting the president to snap a few unauthorized selfies with Trump – much to the chagrin of Prime Minister Binyamin Netanyahu. Following the incident, Netanyahu ordered the Foreign Ministry to have the traditional presentation of the Cabinet to foreign leaders dropped from the welcoming ceremony for state visits. He has not been afraid to confront Arab MKs over their anti-Israel actions and statements but also caused an uproar in his own party when he referred to his colleague, Knesset Speaker Yuli Edelstein, as “Stalin”.